46%. 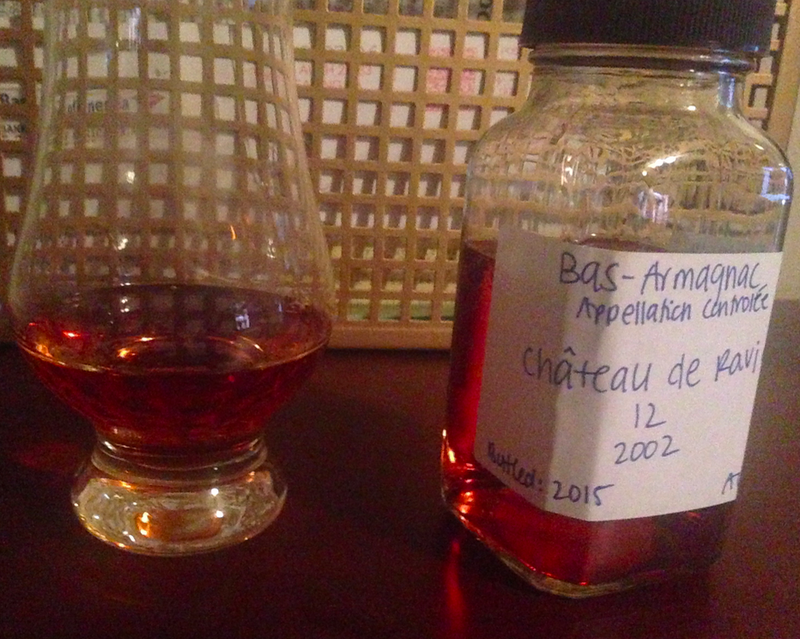 Distilled: 2002, Bottled: 2015. Selected by Astor Wines. This is top-notch Folle Blanche, definitely on the sweeter side, but not cloying. It smells like a video game controller, with that kind of "new plastic"/"airplane bathroom potpourri" smell that you find in good Folle Blanche. Don't let that description horrify your senses, it's a good thing and I promise, it doesn't smell like cheap perfume from a magazine insert. Yes, it's got a heavy floral fruit upfront on the first sip. This is often described as a "perfumed" note that people taste in Folle Blanche, which sounds like it could be the dreaded "French Whore Perfume" (FWP) that sullied many a 1980s Bowmore. But it's not, I promise. It's more like the essence of good wine. Wait, that's exactly what it is. After the fruit, it gets peppery, with a chili note. Plenty of kick for a 92 proof. There's almost no noticeable oak. If there's a knock on this one, it's that perhaps it's a bit green. With a bit more age on it, it would be even better. As is, it's rather fantastic. 87 pts/B+. Grab it at Astor Wines.